Méribel, nestled in France's almighty Alps, is a picturesque mountain resort comprising charming villages of wooden and stone chalets. There is a wealth of activities to suit everyone's taste, and the resort is famed for its shops, activities, bi-weekly markets, and traditional feel. Méribel is an ideal destination for those looking for a traditional French Alps summer getaway coupled with exciting activities. 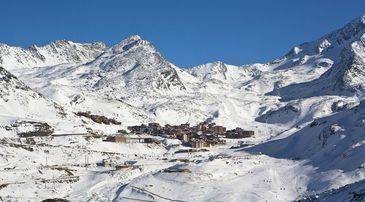 Sitting in one of the three valleys of the so named 3 Valleys alpine and ski area, Méribel can be found in the Les Allues Valley area. The resort is made up of several quartiers, and whilst the centre is lively and thriving, there are also areas such as Mussillon which offers a quieter ambiance while still being home to some the best restaurants in Méribel. 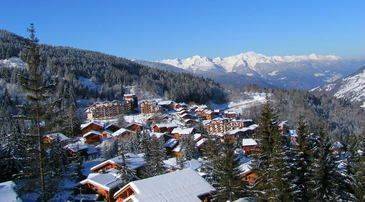 Mottaret has a more rustic feel compared to the centre of Méribel, whilst Méribel Village and Les Allues retain all the charm and tradition of life in the French Alps. Méribel has a wealth of outdoor activities which allow visitors to get back to nature and enjoy the fresh air and spectacular scenery found throughout the region. Tueda Lake is the place to visit to indulge in a spot of fishing. You will need to ensure you have a permit, and bear in mind that half of the lake is reserved for non-killing fly fishing, but it's an excellent spot to catch some rainbow trout. Cycling is also a popular Méribel pursuit with the tracks around the resort offering some of the most difficult sections of the Tour de France, this is a cycling enthusiast's paradise. There are plenty of shops available where visitors can hire equipment, making life easy for those who prefer not to bring their own bike. Due to the gruelling routes that are available, a reasonable level of fitness is required to properly enjoy many of the tracks. However, for those who are able to comfortably handle several hours in the saddle - the rewards are vast! If the day is particularly warm, canyoning can offer a more unusual pursuit to raise your heartbeat and cool you down! Méribel and the surrounding areas provide plenty of mountain streams, abseiling descents, and natural water slides; this is a wet and wild day worth waiting for. With hiking trails, paragliding, kayaking, hot air balloon rides and much more, there's plenty to keep you busy in Méribel. If you still want a taste of winter in the summer, there are glacier walking tours available from the resort. With breath taking views, this is a must for everyone who visits the Alps. If you prefer to spend the day indoors, there's plenty to enjoy in the resort. Méribel is home to a sports and fitness centre to cater for all gym, fitness, climbing, and yoga needs. The resort also offers bowling facilities and a cinema to keep families and friends busy in the evening. Those in search of relaxation can spend an afternoon or whole day at one of the resort's spas. The Deep Nature Spa is particularly popular and offers massage facilities, beauty treatments, saunas, steam rooms, indoor swimming pools and facials. If you want to learn more about the area there is also Musée des Allues, which showcases the traditions and history of Méribel. There's plenty to keep the children busy in the resort as well. Treat them to their first helicopter ride for a bird's eye view of the stunning Alps, or spend the day closer to the ground with a visit to one of the Treetop Adventure Courses where they can navigate the ropes, tunnels and swings. If animals are their thing, try horse riding over the mountains, through woods and down into the valleys. Or to make the most of the mountain, Via Ferrata is a great introduction to mountain climbing. Children will get all the thrill of mountain climbing combined with an element of security. If you'd like to venture out from the mountains for a day, head over to Chambéry. The city is close to the resort and combines the beauty and tradition of France with modern amenities. Visit the most famous monument in the city, the Fontaine des Éléphants, which translates as The Elephant's Fountain and offers a striking photo opportunity. The Cistercian Abbey of Hautecombe is also worth a visit for a taste of the history and culture of the region. Food is important in Méribel and there is a restaurant for every taste and budget here, from barbeque restaurants to traditional French food. Head to L'Ekrin, the famed Michelin-starred Méribel restaurant, if you're looking for luxury - however, be prepared to pay for the quality, with the menu starting at around Eu95! For gourmet yet traditional French food at a slightly lower price, try the Grand Coeur Hotel and experience their culinary expertise. While for a more relaxed atmosphere, Le Refuge is perfect, serving up steaks, salads, and pizzas all at around the Eu10-20 mark. Méribel is also home to a thriving nightlife with venues that offer a quieter evening as well as late, booming nights. A great bar to socialise in is Jack's. With live music, comedians, good conversation and great drinks, many visitors choose to start off their night here. The Evolution Bar & Café is right around the corner and ideal if you want to take on their Bad Boy burger after a night out or just fancy a post-drink snack. For toffee vodka shots, live bands, and a great terrace, head to La Rond Point. Popular with the locals, this is the place to start off a big night. Once the bars close, head to O'Sullivan's for DJs and plenty of late night revelry. There are multiple lift passes available from Méribel throughout the summer. Mountain bike passes can be bought, with prices ranging from Eu7 for one adult on one journey, up to Eu160 for the season. You can also buy a family pass, which is better value if you will all be enjoying mountain biking. For walkers there's a pedestrian pass and best of all a Meripass option. This is great for those wanting to make the most of the resort's activities. It guarantees access to a range of activities, including ice skating and swimming pools as well as paragliders. There is also a Family Meripass option, and children under five and adults 75 years and above are entitled to a free pass. Méribel is home to plenty of family-friendly accommodation. Many of the larger family chalets offer play rooms, in-house nannies and child care services. The main sports centre of the resort usually hosts kids' clubs where little ones can enjoy the company of other children and a range of supervised activities organised by qualified staff. Méribel Nanny Services Child Care matches families with nannies that are most suited to your needs, while other services include the Alpine Child Care service or the Mark Warner Children's Clubs & Childcare service. There are plenty of parking facilities available in Méribel, including seven free outdoor car parks that are uncovered and four covered indoor car parks. These indoor car parks are protected by video surveillance and the first hour of parking is free. Prices range from Eu4 for two hours up to Eu75 for seven days.